America’s top cops can still take a bite out of Volkswagen. The German carmaker will pay up to $15 billion for its emissions scandal in a civil settlement. Though a lot of money, it is in line with regulatory tallies based on the number of vehicles involved. But a criminal case is still pending that offers to test the Department of Justice’s pledge to better hold individuals liable for corporate misconduct. Ever since the 2008 financial crisis, prosecutors have been criticized for not holding more executives accountable. The DOJ has argued that failure to jail any Wall Street bigwigs was not for lack of trying, evidence just wasn’t there. Still, the drumbeat has only gotten louder, with senators like Elizabeth Warren and Bernie Sanders manning the percussion. Authorities attempted to address these concerns with new guidance for prosecutors. Deputy Attorney General Sally Yates issued a memo last September saying individual accountability must be a priority in corporate probes, with companies getting credit only if they provide all information on culpable employees. The memo came out just as news was breaking about the VW emissions scandal. 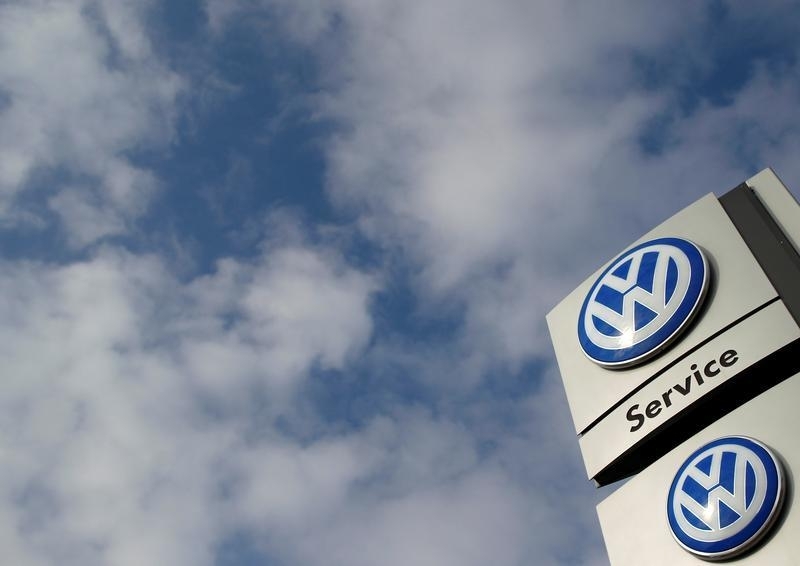 The government’s probe could ensnare a variety of VW employees. The carmaker has blamed the fraud on rogue engineers and claimed that executives were not aware of the cheating scheme. That remains to be proven, but the U.S. case goes beyond the masterminds of the emissions ruse. The Justice Department and the Environmental Protection Agency also allege that after abnormalities were found, VW concealed and omitted information, effectively obstructing the investigation. It’s harder to make cases against individuals, who are prone to fight back more than companies. Earlier this month, prosecutors decided not to pursue a civil case against former Countrywide Financial Chief Executive Angelo Mozilo, who had already avoided criminal charges. The firm collapsed in 2008 under the weight of subprime mortgages and was acquired by Bank of America. Still, the Justice Department has taken on the higher-profile burden of proving it can hold individuals accountable for corporate wrongdoing. Attorney General Loretta Lynch also made that pledge to lawmakers before she took the helm a year ago. VW looks like the best chance to make good on that promise. A sign of a Volkswagen VW car dealer is seen in Bochum, Germany March 16,2016. Volkswagen on June 28 agreed to spend up to $14.7 billion to settle U.S. Justice Department allegations it cheated on emissions tests and deceived customers. The German automaker will offer consumers a buyback or lease-termination option for almost 500,000 vehicles from model years 2009 to 2015. The company will spend up to $10 billion to compensate customers, and another nearly $5 billion to mitigate pollution and invest in green technology. The settlement also partially resolves cases brought by the Environmental Protection Agency, the Federal Trade Commission, the California Attorney General’s office and the California Air Resources Board. It covers only 2.0 liter diesel models. The agreement also doesn’t address any potential criminal liability. Separately, Volkswagen agreed to pay $570 million under cases brought by more than 40 state attorneys general. In September 2015, Deputy Attorney General Sally Yates issued a memo calling on prosecutors to focus on individual accountability in cases of corporate misconduct. Companies would also have to provide all relevant facts on culpable individuals to receive credit for cooperating with the government.